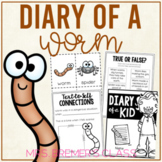 This handy little cut-and-paste problem and solution worksheet goes along with the book, DIARY OF A WORM by Doreen Cronin. Great for a tie-in for the book or an assessment of identifing how problems are solved in stories. 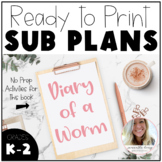 I hope you enjoy and check out my other reading skill worksheets! 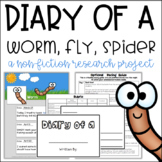 Diary of a Worm - Reading & Writing Lesson Plans - also great for sub plans! Help your kids dig into reading with these reading response activities. They will infer, make connections, analyze characters, and write a diary entry. 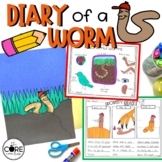 This is a great follow up to the adorable story Diary of a Worm. 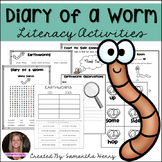 This Diary of A Worm packet consists of literacy activities to use with your students. It has cause and effect, journaling, fact and opinion, inferences, problem and solution, and a teacher explanation sheet for your use. 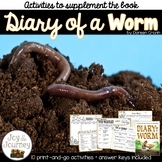 After reading Diary of a Worm by Doreen Cronin have the students sequence events in the story. 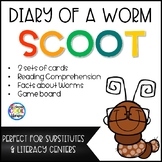 There are 7 events that are written on clipart worms.